We are so excited awaiting the arrival of grandbaby number five in just a few months! Is there anything better than becoming a grandparent? I don’t think so. 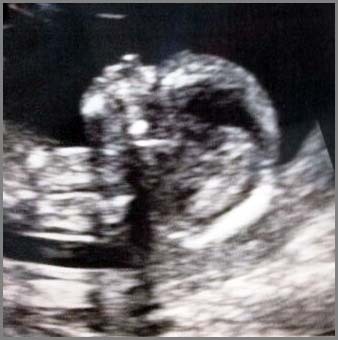 I will never forget the day we were told that our very first grandbaby was on the way. The immediate love that filled my heart overwhelmed me. A baby! Once again I would cuddle and kiss and love a precious little one; I could almost feel the weight of the baby in my arms even as I waited in anticipation. My immediate next thought was, “I don’t have to pay tuition! I’m not responsible for college!” Seriously! This is it for grandparents, we get all the goods without having to pay the purchase price. Could it get any better? Yes, it could! Grandbaby number two soon followed, and then grandbaby number three – three little boys; our lives were beyond blessed. Then, grandbaby number four was on the way, a girl! Life just kept getting better. And now, Number Five is in production! A boy? A girl? Who knows? All I know is that the moment I heard that another child would be calling me Yaya, I could feel my heart’s capacity for love expand. Without knowing anything about this little one my love for him or her overflows. There is nothing about this baby that I don’t already love. I can’t wait to be introduced. Oh yes, life will change – for the new parents, the soon-to-be-big-brother – and for us! There is hardly an aspect of life that doesn’t change in one way or another after a baby is born into it. You could say, there was the old life, and now there is the new life. Nevertheless, we know that every change will be good, even if some changes are difficult; we know that God is in control and he is at work for good in all things. Every rough spot is for our good. New life! What a glorious gift from God! A precious gift that, once we receive it, we wonder how we got along without it. It is well worth celebrating! Becoming a Christian is a lot like being born – actually, we are “born again” — we enter into a new life in Christ. However, rather than being a baby (who has no recollection of life in the womb), we enter into this new life willingly and with full recollection of our old life. Being born again is not something that happens to us or that we drift into, it is a choice that we make. We are born again when we accept the work that Jesus accomplished for us on the cross. Jesus’s death on the cross redeems us from the empty way of life in which we used to live. We get all the goods – a new life in him; and he paid the full purchase price – his precious blood. This Easter week, we celebrate Good Friday, the day that Jesus died on the cross, as our substitute, in our place. He received the just punishment for our sin on the cross; punishment not only for the actions that we do, but the sin nature that dwells deep with us. However, he did not stay dead. He rose to new life on Easter Sunday Morning! Because Jesus lived a perfectly righteous, holy, and sinless life, death could not hold him. This is reason to celebrate! We have the ability to be changed, to be made new, to begin again, to have a new life of the highest order. Just as we celebrated the good news that we were going to be grandparents – again! – there is celebration in heaven whenever one lost sinner repents and returns to God. New life! Oh, it changes everything! However, it is worth every change. When we decide to accept this wonderful life that is offered to us, then our real life is hidden in Christ. He becomes our identity. We are where he is. And God sees Jesus when he looks at us – Jesus’s righteousness, Jesus’s purity, and Jesus’s sonship. We become children of God. Oh yes, there is celebration in heaven! Have you experienced the new birth that Jesus speaks of in John 3? If not, why not today? Why not be the reason for a joyful celebration in heaven? If you have been born again, are you fully living the new life that God has given you? Will you begin today? I am so blessed to be a Christian. Congratulations on the impending arrival of your newest grand child.